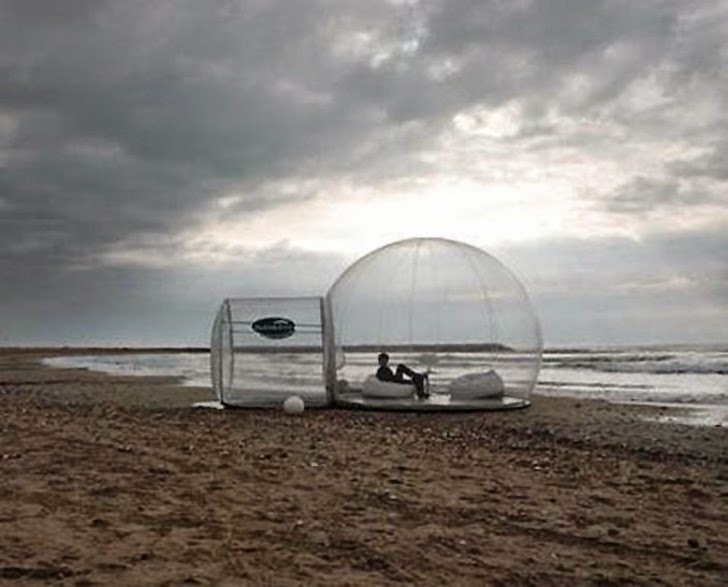 We couldn't resist this one ... created by French designer Pierre-Stephane Dumas, these pre-fab inflatable pod dwellings "are not meant to be permanent structures and are actually being marketed for temporary exhibitions, temporary eco-tourism structures, and special event occasions. Each module is made from a recycled/recyclable PVC material and leaves little impact behind on the land that they touch" reports inhabit. 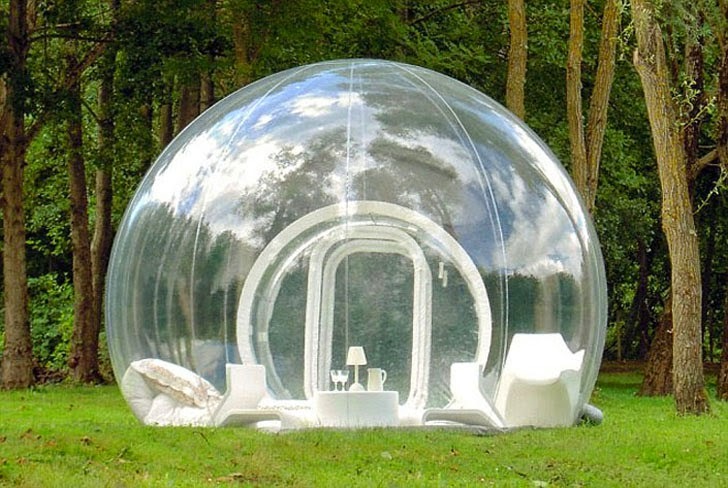 According to Casa Bubble, the exclusive US distributor, the "frameless, virtually roofless Bubble is inflated by a special turbine which keeps it in shape, renews the air and eliminates pollen, humidity and condensation problems. Inside, the air is fresh and filtered, there are no mosquitoes and the acoustics are particularly soothing…"
"Make a special room in the garden for your children or your friends - when night comes, it will have the Milky Way as a unique ceiling!" Or take it into the wilds and sleep snugly in a cocoon but in phase with nature’s rhythms. Spend a night under the stars with all the comfort of a hotel room!" Oh, and not to be missed: Bubble in a Tree. 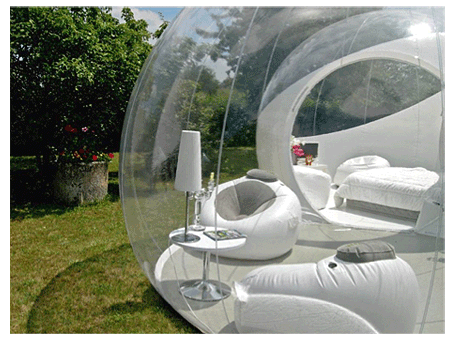 According to House Beautiful where it was recently featured, the Casa Bubble retails for a mere $7,900.